It’s almost beyond debate that there is a link between emotions and ill health, particularly in chronic back pain, IBS, arthritis, and other. If you want proof, check out the Dec. 7, 2004 issue of the Proceedings of the National Academy of Sciences. Professor Elissa S. Epel, UCSF Medical Center, and some colleagues, published an article affirming that the mind plays a significant role in our physical health. They demonstrated a definitive connection between perceived and chronic stress and changes in telomeres. Telomeres are specific areas of the chromosome that are known to relate to the length of cell life and aging. I attended a mini-med school class at UCSF not long ago and heard her speak on these results with respect to our national epidemic of obesity. Minimizing stress is one specific strategy that could be ameliorative. But there are challenges in our society to overcome before that concept will be universally accepted. Sadly enough, initially men may have the most difficult time with it. I heard today that an NFL football player recently and vehemently rejected the notion that he had shed a tear or two on the field after sustaining a serious injury. I feel sorry for him, not only for the injury, one that I would never wish on anyone, even one who accepts the substantial risk to present and future health of playing football. I feel more sorry for him because he is still victim to the long existing and misguided social message that men must not be weak nor show weakness — and that tears are still considered as a prime sign of male, and perhaps even female, weakness. Learning earlier this year about Dr. John Sarno and reading his seminal book, The Divided Mind, I often think about the connection between emotions and brain-caused pain. Any ache or pain I experience causes me to first ask: is there a structural cause or not? And even if there may be a structural cause, why am I continuing to experience pain? Could that pain be brain-caused? Doctors well know that even many structural problems such as arthritis or disc ruptures, do not cause pain in many of their patients. It’s an undeniable fact if you read Dr. Sarno’s remarkable book, and that fact may change your life. A second step I take when encountering pain or a health problem, is to take charge and get more information. Usually I do that by binging the topic, and/or by making a doctor’s appointment. What happens time and again when I do either or both of those things, is that I immediately improve! It didn’t take me long to realize that I improved because I took one or more action steps to take back my power over my problem. I decided not to sit there suffer. Even though I was waiting a few days for a telephone call with my doctor, I had acted to do something, and the very act of acting, translated into improvement. In my book on waist training I relate a personal story about a time in my mid 20s when I used to bite or chew the inside of my lip when I was under stress, which was a lot of the time. I knew it to be a dangerous practice and one I had to stop. I called a local hypnotherapist psychiatrist, chatted with him about my problem, and made an appointment in one week to see him. He gave me a homework assignment in the meantime. I was to write down every time I caught myself chewing on my lip, the date, time, circumstances, and my stress level on a scale from 1 to 10. I started the record and three days later I stopped the habit. I called the doctor and cancelled my appointment, explaining what had happened. He and I both laughed! And, never again was I plagued with this destructive habit. 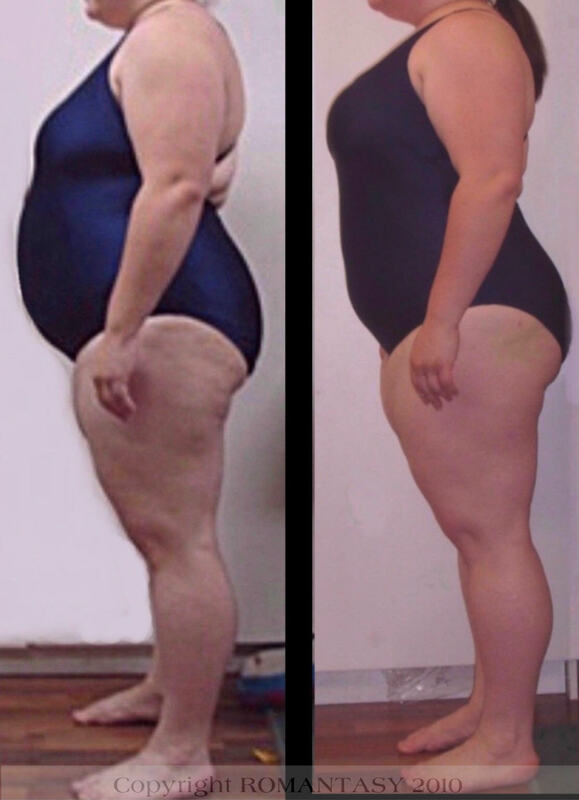 The point of this blog is to suggest that if you are dissatisfied with your size, shape, or health when it comes to nutrition and well being, and if you but commit to corset waist train in some way and take one action step, you might find that automatically you start feeling better and doing the right things! — enrolling in a social media group that supports waist training with reliable, fact-based information and encouragement. — binging “corset waist training” and reading online resources. Sure, we have to evaluate possible action steps carefully, being sure before we choose one or more of them, to consult reliable, fact-based resources; we can’t abandon all sense and look for a guru or “social media influencer” to follow mindlessly when it comes to our health. We have to stay in our “adult” and take care of ourselves to the end. But when we encounter health challenges, act we must–and accept we must that many of our health issues are emotion-based and brain-caused, not structurally-caused or other-caused. We cause many of them, especially ones that bother us and cause us pain, as well as health problems that last a long time or recur periodically without structural causation. We need to be responsible for the many choices available to us throughout life in order to live the happiest, most satisfying life we can, while we are on this earth. I’m down for that; are you? Being conscious of many things, is critical to ease your way into waist training, and to make the next few weeks and months, or even a lifetime of corseting, as comfy and easy as possible. “Re: the rice bowl I ate for dinner: I took a picture of the label, but I’m afraid to send it to you. High on calories, high salt, low fiber, high sugar, decent protein. You would disapprove; I’ll stick with the gluten-free pesto dish.” (Not that I recommend gluten-free anything if you don’t have a distinct allergy or Chrohn’s disease to begin with). I replied in part by congratulating her for her new practice of reading labels to learn more, then advised her to make the rice bowl at home and switch to brown and mixed rices and legumes. I also advised to take her day off corseting or when she feels best, cook up a large batch of mixed rice and store it in the fridge for a week. Then cut up any veggie assortment, sprinkle liberally with olive oil and a bit of salt and pepper and put in an over at 400 degrees for 45 min to an hour. Mix those into rice warmed over with a bit of water sprinkled on top to soften it, and create her own homemade rice bowl that is yummie. Cooking larger batches of food might seem to take more time than popping a prefab rice bowl in the microwave, but in actuality, it likely does not. Consider the time and cost it takes to drive to the store, stand in line, buy the bowl, and heat it up…the amount of time required likely turns out to be about the same, but you can get and prepare a lot more healthy food to store in the fridge and thus, minimize shopping and cooking in the long run, as described below. Ms. K has been somewhat challenged in making a few of the moderate number of nutritional changes that we strongly recommend that students adopt during formal, dedicated corset waist training. To start with, she leads a busy professional life. She is challenged by a health problem that limits the amount of time and energy she can spend shopping for good food and preparing it. Her personal energy often goes into doctor’s or physical therapist’s appointment.Before starting her journey I had advised her to learn to check all labels. Before beginning her training, her practice and tendency in order to shortcut the above, was to buy prepared foods, one of them being this ‘rice bowl’. During the first two weeks I ask each student for occasional food reports for at least two weeks, to derive an understanding of the calorie intake and implementation of new strategies by my students. I do that throughout the three months so I can find ways to present healthy alternatives and encourage the student to develop new food habits and tastes. Ms. K feels that many of my suggestions resulted in “bland” food. The reverse is the truth: brown rice has a nutty flavor that far exceeds the “blandness” of white rice. Ms. K will never know that, or about the pleasures of the natural taste of veggies and fruits unadorned by chemical preservatives and other additives, unless she cleans her palate and practices gradually, to allow new flavors to develop. (N.B. beware the ingredient of “natural flavors”–they are still created in a lab! Read the excellent, easy-read book The Dorito Effect for some stunning facts such as that one.) First Bite author (another highly recommended book) points out that we have to give our taste buds time to adjust and search out and realize the new flavors of unadorned foods, but the reward is well worth it. You may have to intially trust the above experts to see if it works fro you, or trust my advice based on my own experience plus 16 yrs of coaching students and their feedback on how their taste buds improved as did pleasure in a wider variety of natural foods after corset waist training. Have you noted any change in the flavors you enjoy, once you started waist training, and what did you have to adjust in your food shopping, prep and eating in order to make the process more comfy and enjoyable? Is Waist Size a Valid Predictor of Risk to Health? We still think so–and so is lethargy! “By 2012, 19% of adults age 20 to 44 at a healthy weight had a blood glucose reading that met the criteria for prediabetes, and 33% of adults age 45 and older in the healthy weight range met the criteria.” Researchers believed that waist size does not predict prediabetes! One possible cause researchers postulated for the problem for slender folks, was leading a sedentary lifestyle. But then–we knew that! However, I still think that we should be very concerned about our waist size throughout our life. This was confirmed by another research report in part issued by Johns Hopkins University and reported at the 2016 American College of Cardiology Scientific Session. Reducing your waist size can reduce your risk — it’s just that simple and has been repeated over and over again. Why corset waist training makes so much sense, came clear to me once more, reading the NY Times article “That Lost Weight? The body finds it, even for ‘the biggest loser’.” (reprinted NYT The Stories/2016 on 1/1/17). Writer Gina Kolata tells the sad stories of the majority of the tv show’s “The Biggest Losers” after they lose weight. Most all regain all and even more of their original weight. That’s why this year’s research at ROMANTASY will be directed in major part at definining effective strategies to maintain weight loss/figure reshaping after corset waist training. Sure you can lose some inches in three months of our coaching program or just do it by yourself (hopefully following principles and clear ‘how to’ procedures outlined in details in my new book on the topic). But will you keep it off? There is an “easy-to-maintain” weight for most of us, and our body fights to get to it no matter if we go up or down. Especially up, it seems. But, when you lose a lot of weight, your metabolism slows down and stays down, the article reports. And that point seems surprising. As you tend to add on pounds as most do after a diet, you keep adding pounds because your metabolism is worse, not better, and you can easily gain more weight than you lost! The major problem reported by the Biggest Losers who gained weight back was — hunger! They were always hungry, driven by the body to return to their previous heavier weight. (The mystery for me is, why if we are born slim and not fat and stay that way say, all thru high school, then put on 100 or more pounds as adults, the body does not revert to pushing us to return to our high school weight, rather than our adult over weight condition? The article did not answer that mystery). Hunger is where corset waist training comes in, and wearing a corset three times a week, or sleeping in one each night, or some combination, is a strategy that that cuts down hunger. Just like bariatric surgery cuts down hunger for many, so does squeezing the tummy to a smaller size by corseting do the same. Yes, bariatric surgery patients can gain a lot of weight back, some even their same pre-surgery weight, so I surmise that the tummy is stretching or expanding gradually as they abandon resolve to eat healthier and consume less, the way they are required to do shortly after that surgery (or I understand they can toss their cookies and it isn’t pleasant). With corset wearing, you just can’t stretch your tummy beyond comfort unless you, too, want to toss your cookies — you can’t stretch your stomach if you wear the corset regularly, especially when cooking or eating, and use it as external pressure to keep the stomach’s natural expansiveness in check. You have a good chance of not putting on too many pounds if you also couple period corset wearing we call “maintenance training”, with a good bit of waist-targeted exercises most days of the rest of your life. Regarding protecting our new figure and/or weight we achieve after some effort and by some means, the tv show trainer on The Biggest Loser, says contestants must exercise nine hours a week for the rest of their life and monitor their diets. As if that’s a horrible thing to suffer? Who wouldn’t like to be self-indulgent, out of control, and hedonistic the rest of our life if there were no ill consequences? But their are! Such an informative statement by the contestant tells us a lot about this person’s personality and understanding about life– or lack thereof!!! Health is a life sentence. Maintaining weight is a life sentence. Being energetic is a life sentence. Seeking forgiveness when one must is a life sentence. Showing up for work on time is a life sentence (until retirement). Being a good mom or dad is a life sentence for certain! Caring about our aging parents is sometimes almost a life sentence. Being a compassionate helpful neighbor is a life sentence — and many of these things take effort. It all depends on what you want in life and out of life, and who you want to be and be remembered as. Helping each other by friendly support, entering our three-month coaching program if you respond to routine accountability and then staying in touch, or making new friends who will support your best efforts to live a full, reasonably happy, and healthy life, all seem to be answers. I’m of a firm belief that we can’t do life alone. What do you find helps you make the right choices regarding your own figure and health? What helps you fight your hunger, and your urge to give in and give up and revert to childish choices? Everyone differs in how they respond to wearing a corset and corset waist training. Therefore this proposed wearing element of a sound waist-training program can only be a guideline that should and must be adjusted by you and me as you move forward during training, according to your body’s messages back to you. Honor your body and strive for health above all especially if you develop any heart issues, ankle swelling, serious constipation, serious asthma, or any high blood pressure or serious low back pain. Minor aches and pains are to be expected for a few who waist train such as rib tenderness that passes in a day or so treated with ibuprofen. During training, please get in the habit of measuring your corset every two hours as it will or may tend to open up. Carry a tape measure with you in your purse or pocket, to work, and on chores outside of the home. Couple your wearing program with healthy nutrition and waist-targeted plus anerobic exercise (avoid frontal situps) (DETAILS TO COME). Before training we recommend you take a set of photos in a snug leotard, shorts, or swimsuit/trunks from front, side and back. Take these again at the same time of day with same clothing and same tape measure mid term and at the end of your program. You will likely be amazed to see the progress you make, first in posture then in inches! During training we recommend you write every day in a journal, typically at close of day before bedtime, with special notations made as to your physical and mental/emotional reactions, if any. Also we recommend use of an overall scale of 1 (easy) to 10 (pain). Note in your journal at end of day the right number of how difficult or challenging your day went, and make notes about why. This will help you identify foods, mood, stressors, physical swings or issues that arise, etc., that may impact your progress and either delay it or advance it. It may also suggest that you need to extend your hours of wear by one or two hours from what is proposed, to make the program more challenging for you, in the range of 6-7 is what we recommend. Remember to take and record your weight and rib cage, snug waist, and derriere measurements, in your journal on the same day of each week, once per week, likely on Tuesday mornings (Monday is your day off), using the same tape measure and the same scale. Always weigh at the same time of day. Be sure to gently “bounce” on any digital or other scale to overcome possible “stiction,” and to obtain the best accurate weight. You might step on and off the scale three times to be sure you get a consistent number to record each time you weigh. Vacations or your day off do not provide an excuse for major deviations; 95% compliance should be your goal on a weekly basis. If you go off the schedule one day, then try your best to make up for it the next day by expanding your hours of wear, or extending your exercise period by half an hour, and get back on track. Three months go by very, very quickly; you will achieve maximum waist reduction the first time you attempt corset waist training, so now is the time to put forth your best effort. Corset waist training will provide you with a very fun and fashionable adjunct to improve your health, posture, and well being. It will be quite educational and fruitful. As we say: “the program works – if you work it!” We will be happy to learn about your results after the program is completed. 1. From natural waist measurement of 34.5″ to 31.5″ waist. This is a reduction of 3″, or one inch per month. You can always continue the program for three more months to reach further. Is it acceptable to you? Note that once you begin to lose waistline fat and develop more muscle and toning in your midriff, the more difficult it will be to lace down. You never want to move forward too fast with too tight of a second training corset. Be moderate and patient above all in what you attempt, and your results will prove more lasting as well as more dramatic in the long run. 2. You weigh lbs. now. Weight from to lbs. seems manageable (under lbs. per month). Note that weight reduction is less important than keeping an eye on inches lost. Note also that you can yo-yo up and down inch wise and weight wise; therefore look for a down trend in both or one, over a few weeks or even few months. 3. Wear your corset measured at 33.5″ over corset or 32.5 ” under the corset– an actual 2″ reduction when you start. At the end of your program when you will have a 31.5″ waistline and wear the corest closed at 30″ over or 29″ under, for 10 continuous hours. Is this acceptable to you? It is do-able! I suggest that you use the following time/level of wear. You can adjust to a faster or slower pace mid way once you look at your progress/comfort level. You will start by wearing your corset laced down over the corset to 33 ” for 3 hrs (or 32.5″ under the corset, a 1.5″ actual reduction from your waistline). The first two weeks are your time to tinker with the proposed schedule, nutrition, etc., then settle in until mid-term to readjust. Some students never see results until the last two weeks – so stay the full course. Do not give up until you complete your commitment to yourself and a proper trial period. This assumes one day off per week from corseting, namely Sunday. You may choose Saturday or any other day and adjust the schedule below accordingly. “MTW” stands for Monday, Tuesday, Weds., and etc. If this is way too easy end of first week, then we will extend your hours before you lace down, the second week, for example, 33 .5 for 12 hrs. The key is to wear the corset consistently longer hours before you lace tighter. Moving up to 8 to 10 hrs. or 12 hrs per day is better than lacing down too quickly, if you do find the program too easy for you the first two weeks. We will adjust your schedule below, if the above has been too easy and you have moved up in hours, plus your 1 to 10 daily ‘comfort/challenge’ scale has been below 5 most of the days. Strive to be at 6 to 7 in terms of challenge, each day after the full wearing is complete, during your corset training period. Mid-Term: Now is the time to draft your Maintenance Planto implement after you complete your first period of formal training. TFS 30/3; Now your corset will be closed in back entirely perhaps closed entire top to bottom. Now is the time to finalize your formal Maintenance Plan. Read Chapter 10 in book Corset Magic. Note you will have reached your wearing goal of wearing the corset at 30″ over the corset (29″ under the corset) for 10 consistent hours! Congratulations! Your natural waist should then be 31.5″ so you are lacing down 2.5″. This should be very comfortable for you.). If you do not achieve this particular set of goals, do not be concerned. Simply extend your program in a similar methodical fashion for one to three more months, keeping the same discipline and the same records. Some people simply take longer than others to see satisfactory results occur. The point is to be consistent and view waist training as akin to a marathon, not a sprint. Take heart and continue to nurture yourself and your health! A New Year signifies new hope. That’s why I love January 1! My therapist BFF calls me a “corset Pollyanna” — a lover of all things corset (custom, that is) — coupled with being a hopeless optimist. Actually, I’m a hopeful optimist! Today’s NY Times had an article, “A Month Without Sugar.” The writer who tried what I tried 1.5 years ago and gave up all sugar (except fruit sugars), did what I did — survived the month. I don’t know if his resolve continues, but mine does (save that I occasionally eat a bit of honey and can now indulge in– get this: eating one candy corn or two small bites of cake–every long while!) because the results were phenomenally good for me, as they would be for you, I am convinced. My relevant point today, January 1, is that there is hope. The NYT’s author points out that the understanding of sugar’s dangers to health has led to a backlash against it, in both political action and in our personal diets. Politically, taxes on sugary drinks were passed in my city last year, and the author points out they are also in existence in Chicago, Philadelphia Oakland, and Boulder. Mexico and France now have such taxes as well, and Ireland and Britain are not far behind, he says. I’m convinced it’s a national trend, but one that does not go far enough, and that might even be unfair to Big Cola for being singled out. Why should colas be taxed and not Twinkis, M&Ms, and other candy bars, for example? But let’s leave politics for a moment to focus on the real issue today. “Modest improvements have been made nationwide in the United States, but they are ‘extremely unevenly spread, with most changes happening among more educated Americans,’ says Dr. Walter Willett, chairman of the nutrition department at the Harvard School of Public Health. A paper he helped write, published in December, 2015 in Health Affairs, reported that Americans’ diets had improved in quality from 1999 to 2012, with a reduction in trans fats, small increases in fiber, and less soda consumption. However, most of those advances were not happening among lower-income, less formally educated Americans. “I was also pleasantly surprised by a July 24, 2015 article by Margo Sanger-Katz, ‘Americans Are Finally Eating Less.’ She reported that fewer calories are finally being eaten in this country, with the most propitious results for families with children. Soda drinking has dropped about 35 percent from the late 1990s. Dr. Willett says that, finally, childhood obesity rates are not rising, according to the Center for Disease Control (New York Times, December 12, 2015). Disappointingly, Americans have not cut back on sugar and desserts. “There’s no need to be discouraged by past failures, no need to be ashamed of your present waistline—even if it exceeds 60″—no need to rush into risky [bariatric] surgeries, and no need to wait before you try corsets. You can start right now with a popular new approach that works. Isn’t it about time that you do what Pamela Anne Miller, one of my clients, said? My single wish today is for your–and my–improving health. Without a healthy, strong body of which we are proud (forget what others say about it! ), we cannot concentrate on doing good in the world, promoting our passionate causes, and contributing to a more compassionate and just world. Some of you know that over the past six months I’ve been challenged by a serious (but recoverable) physical problem, and for over four of those months I have been committed to working very hard (no pain no gain) to come back to full health once more. I’m making progress! Better yet — I have hope. I know that any progress takes hard work — be it corset waist training to achieve dramatic waistline reduction that makes one gasp to behold — or corseting for better posture, — or corseting for an improved daily viewpoint, — or corseting for uplifted spirit that also comes from moderate corseting, — or from pursuing any other modality including therapy, expert advice, support groups, or friendships of any kind that help us to improve, heal, and look forward in hope. There is hope that if you want it, you, too, can achieve the quintessential hourglass silhouette, aided by and amply demonstrated by, a well-fitting, comfy corset. Our long-time friend and client from Arizona, The Amazing Ana — as I have deemed her to be — has achieved that hourglass silhouette. 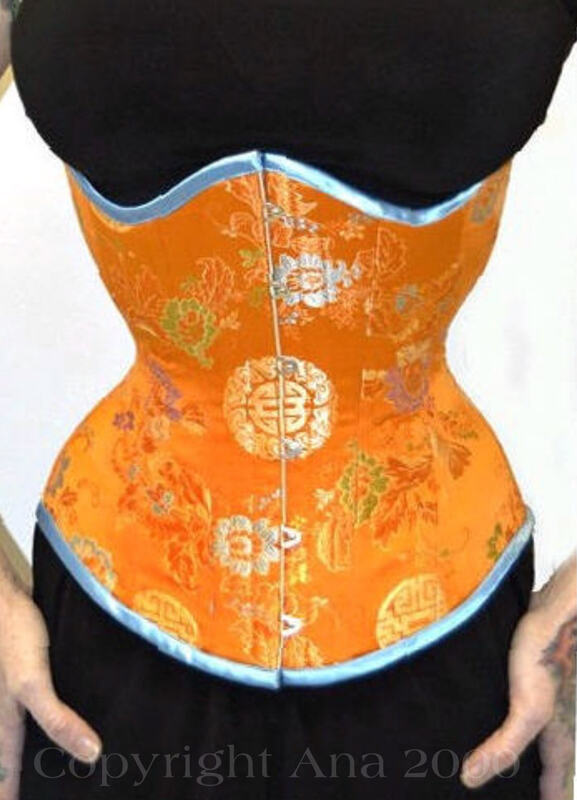 (Stunning orange silk corset by Sue Nice for ROMANTASY.) She has also achieved much more in her lifelong quest for body building, better health, superb strength, and undeniable power. She is a woman of determination and sweat and tears, and in my own physical journey this past year she has been an inspiration, whether or not she knows it! MY NEW YEAR’S WISH FOR YOU: May you have much progress (not perfection) in 2017! May you, even with the distractions of the day, information overload, and pressures to fit in, be quick to see the experts and teachers who come into your life with gifts that will restore your hope and lift your spirits! Successful Waist Training Is About Doing What Works — For YOU!! IT’S ABOUT DOING WHAT WORKS — FOR YOU! According to his recommendations, I stopped eating dairy (excepting Greek yogurt), wheat, sugar, and red meat. I added a few cups of jasmine tea per day but refused to give up coffee, although I reduced the amount I drank. Another doctor’s diet diaster! I quickly became the poster child for just one more “doctor’s diet disaster.” I should have known! 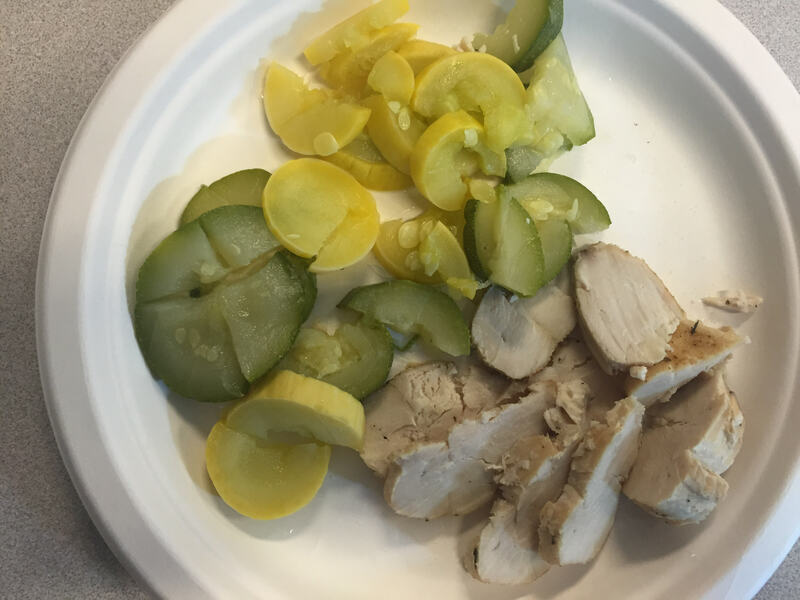 To be sure, in a little over one week I dropped 4 lbs, but my tummy rumbled, groaned, burbled, clenched, tooted, and ultimately withheld the “healthy” foods I was now eating. Fairly severe gastric distress was troubling, but it also set me back a month in getting used to wearing a lovely new corset. I managed two three-hour sessions with my corset laced down one inch, then I quit wearing it in order to normalize my digestion. I was fine in a few more weeks after I returned to my normal diet. Dr. X., my long-time medical consultant on corsetry and the body, and personal friend, gently reminded me that any “general” advice is just that: general and not specific to an individual (Dr. Oz had said nothing about that!). Clearly, I need to eat fiber and wheat—in fact, a lot of fiber. Even if you are a healthy, highly-motivated corset enthusiast who is raring to go with waist training, you’ll increase the risk of adverse effects if you take general advice too much to heart. Do not ignore your own unique body and needs, especially when you make dietary changes that will be necessitated during any serious corset waist-training program. Ill-informed and misguided opposition to safe and sane corset waist training. Sadly, Dr. Oz, once more on his television show a few days ago, promoted “waist training disasters” in his puzzling campaign to focus only on the negative, and dismiss thousands of case studies, and the facts, demonstrating the success of fun, easy and fashionable moderate corset waist training, especially in addressing the obesity epidemic. What militates against corseting? Of course, there are situations and conditions that militate against corseting! No one denies that! Pregnancy comes to mind (but of course in Victorian times, elastic panels, straps, and a lighter weight corset were in fact, used to support women’s backs and bodies, as the fetus grew. The picture is taken from Spencer’s sales manual from 1957). Treated or untreated conditions might set aside corseting, such as high blood pressure, problems of circulation and edema, hernias, bronchial infections, GERD disease, some spinal and nerve conditions, or pregnancy. But sometimes they do not! The point is, to keep in mind that wearing a corset affects circulation, digestion, and breathing, and affects everyone differently. You must exercise common sense; if your corset is producing discomfort, find out why. Better yet, before investing in a corset, check with your doctor or other health professional; you may still be able to corset but go about it with less restriction and take a longer time. No one is running a race here! I dare say there are situations and conditions that militate against bariatric surgery, as well. Would Dr. Oz deny that? No one method has the key to effective weight control or personal happiness—and what reasonable person would ignore an effective method such as corset waist training in appropriate circumstances, to get control of a disastrous international trend of increasing waistlines, if not weight (tho weight is less important; more below)? I know that the medical corsets are just awful: ill-fitting, thick, unwieldy, and impossible to disguise underneath clothing. When I wore one for over 20 years before discovering custom corsetry in 1989, everyone knew when my back “went out” and I was suffering. I had to wear the ugly white, pre-formed, thickly boned, or velcroed, thing over my clothing–or not at all. How a corset is handy to address my personal low-back issues. Now if my back is ailing, I just pop an ice bag under a gorgeous corset, lace loosely, and off I go to social events and feeling fine. Pictured is one of our Corset Soirees in 2005 organized to celebrate the graduation of vivacious Melinda (in blue corset) from my three-month waist-training coaching program. I’m wearing a 25″ metallic leather BR Creations corset. That night my back was tweaking mightily—and I had an ice bag under the back of the corset! Can you tell? Of course not! Am I in pain? Nope … a wee bit of discomfort, but I’m smiling! This technique enabled me to go out, dance a little, and celebrate in comfort with a nice group of corset enthusiast friends. Dr. Oz says (in a SF Examiner newspaper column from 2015) that the last things he would promote to address diabetes and obesity, are radical and irreversible stomach surgeries. Like many of us, he’s obviously concerned about the obesity epidemic that is said to be world-wide. (Despite a mounting public education campaign about healthy eating and against sugar, in the US we have only managed to cut back on sugar-laden and diet sodas, but not much else, per a studies from 2015 that I’ve reviewed.) But, does Dr. Oz now think that wearing a custom fit, comfortable corset in a moderate way, properly and slowly lacing it down and enjoying wonderful posture benefits and portion control immediately—then disappearing hunger in a few weeks—is also an invalid method to address and reverse obesity? Could it be that Dr. Oz promotes the financial well being of the diet drug industry, quick-fix one-item “14-day diets” such as he promotes, and prefers his gastric and plastic surgeon colleagues to a wonderful , truly comparatively inexpensive, safe, and effective approach to address obesity–one that works for the grand majority of generally healthy folks, as well as for a lot of medically-challenged folks? And how does that make sense? Lucy Williams will soon publish her book, Solaced: 101 Uplifting Narratives About Corsets, Well-Being, and Hope. It summarizes the many and diverse benefits of corseting, from waist training and weight reduction, to back support, to solving medical problems such as severe back pain, the fallout of terrible vehicle accidents, less life-threatening conditions like IBS, and many more. 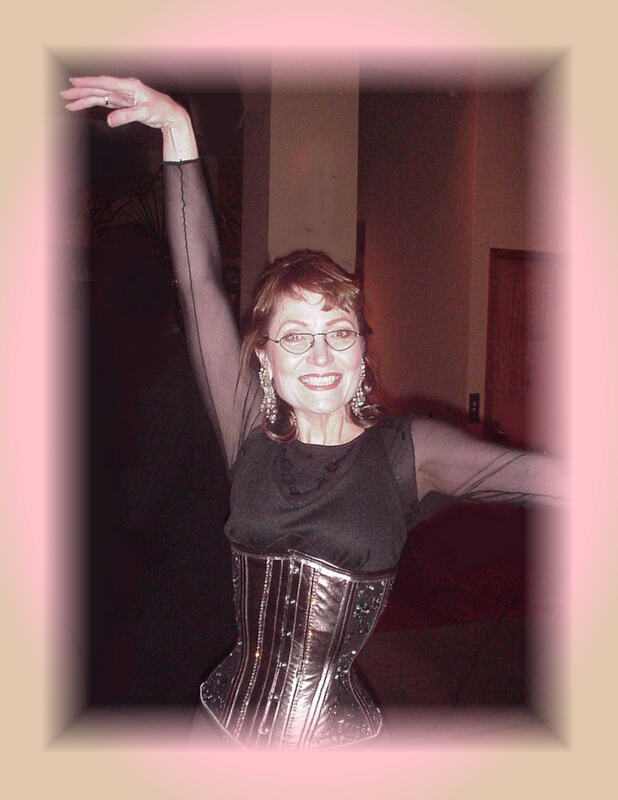 April, who sponsors a blog we recommend on waist training, is our corset client (her waist-training lace-and-satin corset pictured is by Sheri), and tells her story in Lucy’s book. I’ve been privileged recently to assist Lucy with manuscript editing. After reading her book, I’m in wonder once again at the diversity of benefits that wearing a corset bestows on those who seek to try them, and who go about it with common sense and respect for one’s own body and individual needs. I am more than ever re-dedicated to promoting corsets to those with common sense, who have an adventurous attitude, and who want to try corsets for support, for pain reduction, for posture, and for waist reduction. With a bit more attention to exercise and nutrition, corsets can even help one rather easily lose weight–but that’s a beneficial side effect. It’s the girth of one’s waist that counts more than the scale. Dr. Joseph Mercola (3/11/16 article) suggests that the “ideal” waist proportion for men in a .8 ratio of waist to derriere, and for women, the ratio is .7. Just multiply your derriere measurement by .8, or .7, to come up with a desirable ideal waist. This reflects research many years ago conducted by U. of Texas professor Divendra Singh, who discovered that a ratio of .7 for women provides the enviable “hourglass” shape that most men from age 6 to 90, emotionally prefer! Don’t obsess about your weight whether or not you decide to try corset waist training. Your weight may actually stay the same or go up a bit once you start waist-targeted exercise and toning your midriff muscles! It’s about the visceral fat surrounding vital organs, and your waistline, that must be addressed, avoided, or diminished–if we are to enjoy a long and healthy life. 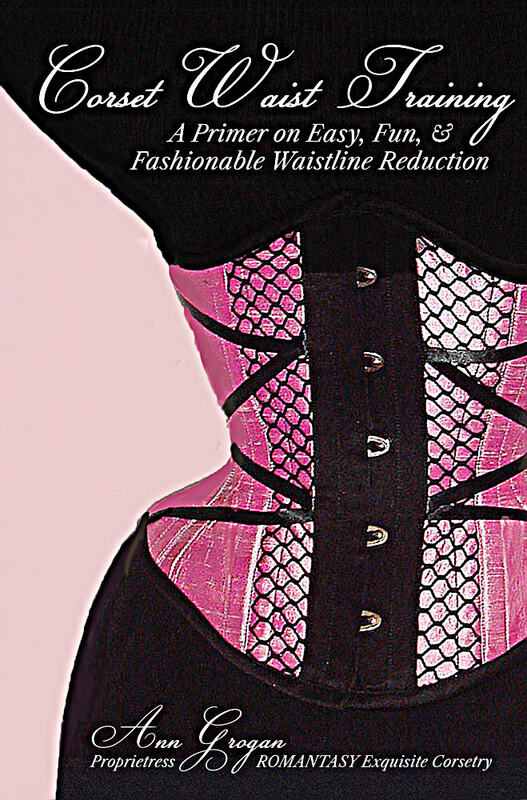 Corset waist training is one viable method to do just that. Risks? We’ve all read about revisions needed post-bariatric surgery, as well as risks of scepsis and other. Risks from corseting? Of course there are! But I’ve never heard of surgical revision being needed, or sepsis developing from corseting. Of course I have read about a few other conditions that militate against corseting. No one of us corset enthusiasts or educators is oblivious to the odd situation where a former medical or health condition can be exacerbated by corseting. For that reason alone, I will not coach a client who has high blood pressure, even if controlled by medication! At the same time, unlike a number of plastic surgeons and other doctors who diss corseting and waist training to promote high-priced surgery as a suitable option to address extreme obesity, but I don’t diss surgery, if that is your chosen solution and if your situation is life-threatening. But it’s important to know that a 2015 study shows that 57 percent of post gastric-banding patients surveyed 10 years later, don’t keep the weight off. We all know that no matter the method we pursue to address and reshape our figures, once we achieve success, then we have to have a strategy in place to maintain our progress, or we will yo-yo back up, and sometimes gain even more weight or inches. One entire chapter in my book is devoted to “Waistline Maintenance” for that reason. I not only want you to be successful for three months, but for three years, and then for a lifetime after that! I checked with two physicians of extensive qualifications, one a retired coroner and forensic expert, the other with 43 years of teaching and clinical practice who also wears corsets. Actually, it is exactly the opposite! Metabolic syndrome is primarily caused by obesity and inactivity. People who have metabolic syndrome typically have apple-shaped bodies, meaning they have larger waists and carry a lot of weight around their abdomens. It’s thought that having a pear-shaped body — that is, carrying more of your weight around your hips and having a narrower waist — puts you at a lower risk of developing diabetes, heart disease and other complications of metabolic syndrome. Of course, as an “obestity expert” in the article said, a dietitian, exercise physiologist and or behavioral psychologist can work for some to help lose weight. But that does not automatically exclude the concomitant use of moderate regularly custom corset wear to boost weight loss and waistline loss forward. And no, a corset does not need to “reshape” the rib cage as the surgeon said. Nor can smaller waists “only be done with rib removal.” (quoting Dr. Sinclair). They can be achieved by corset waist training without one doubt, based on my 26 yrs. in this specialty business, coaching 30 students in waist training. With moderate post-training attention to good nutrition and exercise, the results can be permanent. 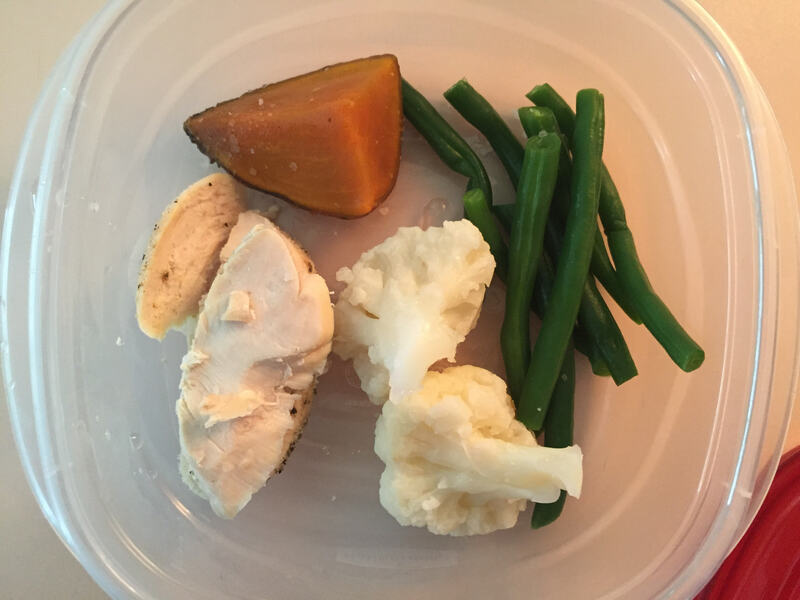 Eating right: It all seems so simple, right? Love it! How the heck does that work in 21 short days? It’s just one more unrealistic pitch to a ‘want it now’ generation of Americans, seeking the quick fix! That doesn’t mean we can’t learn something from the book, but what was summarized this morning, is stuff we already know, summarized below. But changing habits takes more than just 21 days as any reasonable person knows. Corset waist training takes more than 21 days! We’d like to hear from our readers about what has worked for them to keep weight off and keep their curvy figure gained after successful corset waist training? It’s the intended topic of some forthcoming blogs and perhaps, a new book, so send on your thoughts and experiences. set up for success by preparing your gym back the night before. place the gym bag away from your bed by your alarm clock so you have to get out of bed and see the bag to remind yourself to go to the gym. know what to expect in weight loss.